This Lightning cable is built tough, with 5 feet of length for extra flexibility and reach. Our mobile devices depend on a single cable for power and data. So it’s a drag that they’re so prone to break and fray. Instead of constantly replacing the standard Lightning cables from Cupertino, here’s your chance to snag one that’s built to stand the test of time. The Tech2 Charge and Sync Lightning Cable is a super tough, extra lengthy charging cable. It’s extra durable thanks to a sleek braided sheath, with an ultra-thin connector compatible with almost any case. At a full five feet in length, it’s also got a lot more reach and flexibility than the standard cable. With MFi certification, you can count on it to deliver data and power to any Apple device. 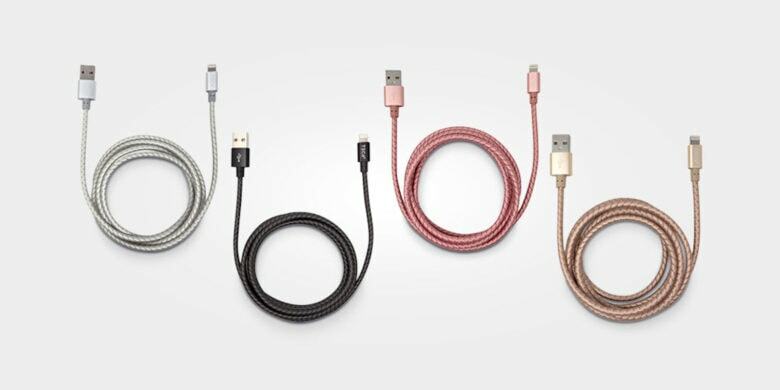 Even better, it’s about half the price of the common cable, and available in more colors: black, gold, rose gold, and silver. Buy now: Score a Tech2 Charge and Sync Lightning Cable for $12.99, that’s a 48 percent discount.